Total state budget revenue in the first nine months this year reached VND843 trillion (US$37.1 billion), equal to 69.5% of the estimate and up 13.9% over the same period last year, announced the Ministry of Finance (MOF). According to the MOF’s latest report, domestic revenue in the past nine months was at VND663.7 trillion, making up 67% of the estimate, an increase of 11.4% over the same period in 2016. 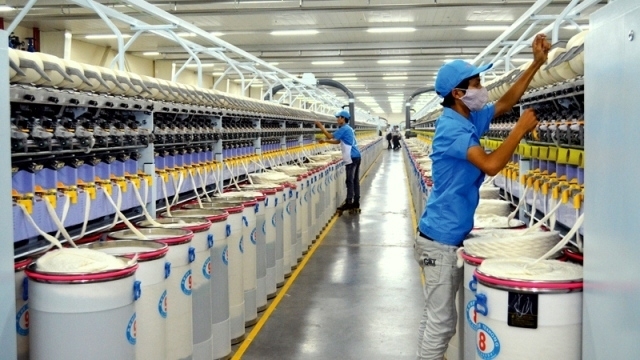 Domestic revenue, excluding land, lotteries, dividends and the sale of State-owned shares in enterprises, was estimated at VND519.3 trillion, equal to 66.4% of the estimate and up 9.1%. The ministry said that due to the industrial production growth not improving, a number of manufacturing sectors, that previously contributed a large amount of revenue to the budget, have decreased in comparison to the same period last year (decreases in crude oil and gas, automobile, mobile phone and cigarette production), resulting in the low collection of direct revenues from production and business activities. However, domestic revenue in general remained quite high compared to the same period of the previous year (up 13.9%), mainly due to indirect revenues, such as collection from housing and land reaching 119.7% of the estimate, up 24.2%; personal income tax 74.9%, up 21.1%; charges and fees (including registration fees) 83.5%, up 51.3%; and income from lottery activities reaching 90.7% of the estimate, up 12.4% over the same period in 2016. The progress of local budget collection has been relatively high compared to the same period of last year. It is estimated that 43 out of all of the 63 localities nationwide collected over 72% of the estimate and 58/63 of the localities collected higher than the same period in 2016. There are only five provinces with a lower collection than last year, due to objective reasons, in which Quang Ngai no longer applies the mechanism for regulating the revenue from Dung Quat Oil Refinery, Vinh Phuc witnessed reduced revenue from automobile assembly and production, Thai Binh from the reduced environmental protection tax collected from petrol and oil; Thanh Hoa saw reduced revenue from contractors’ fees for the Nghi Son Petrochemical Complex; and Hoa Binh had reduced revenues from hydropower companies. During the period, revenue from crude oil was at VND34 trillion, equal to 88.9% of the estimate, up 15% over the same period last year, whilst collection from import-export activities reached VND214 trillion, equal to 75.1% of the estimate, up 10.5%. Regarding spending, government spending in September was estimated at VND111 trillion, placing the total spending for the nine month period at VND904.6 trillion, equal to 65.1% of estimate, up 6.6% over the same period in 2016. In particular, investment expenditure in the nine months reached VND166.6 trillion, equal to 46.6% of the estimate. Disbursement of investment for capital construction from the State budget was estimated at 53.1% of the estimate (compared to 56% in the same period of 2016). Debt and aid repayments reached VND75.35 trillion, equal to 76.2% of the estimate, up 15.6% over the same period last year, while regular expenditures were at VND659.25 trillion, equal to 73.6% of the estimate, up 7%. By the end of September, the central budget deficit was estimated at 69% of the estimate; local budget balance witnessed a difference as revenue was greater than expenditure.